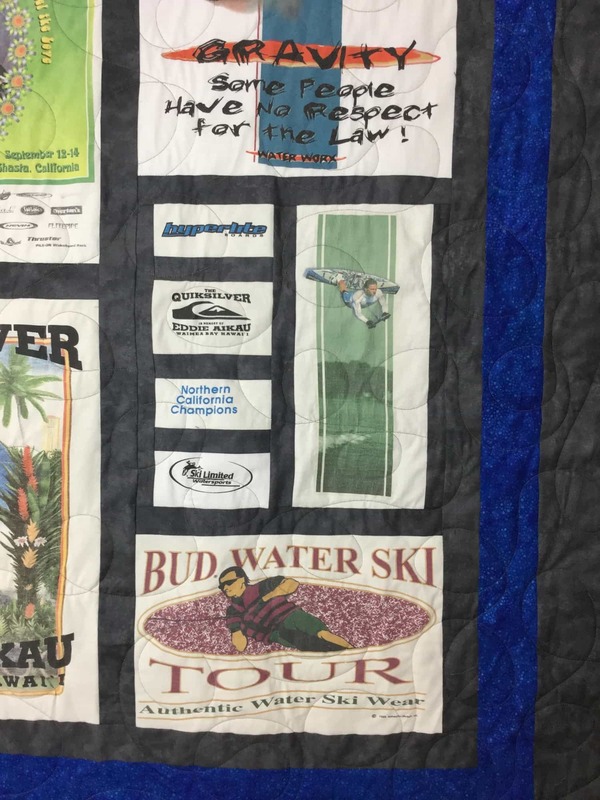 “For my son’s 35th birthday this year, I decided I wanted to finally do something with all the t-shirts I had saved throughout his childhood that celebrated his love for boating, water skiing, wake boarding and even doing competition slalom course water ski racing. 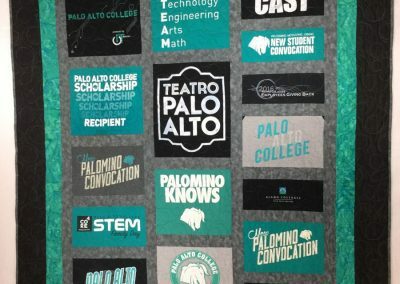 I knew I wanted to put them into a quilt but I also knew I did not have the time to do it myself. 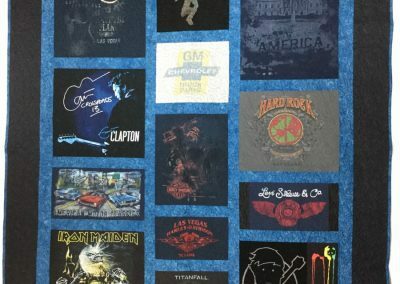 I called around at the local quilt shops and I found Diane from friends who are avid quilters themselves and spoke highly of her talents. Diane met me at a local quilt shop where I explained the theme of the quilt. She helped me pick out material for the front and backing of the quilt that would pull it all together in an attractive way. 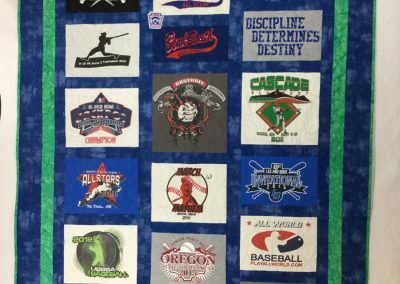 She then contacted me with pictures of her draft layout for my approval and shared her process on the quilt with me as she completed it. 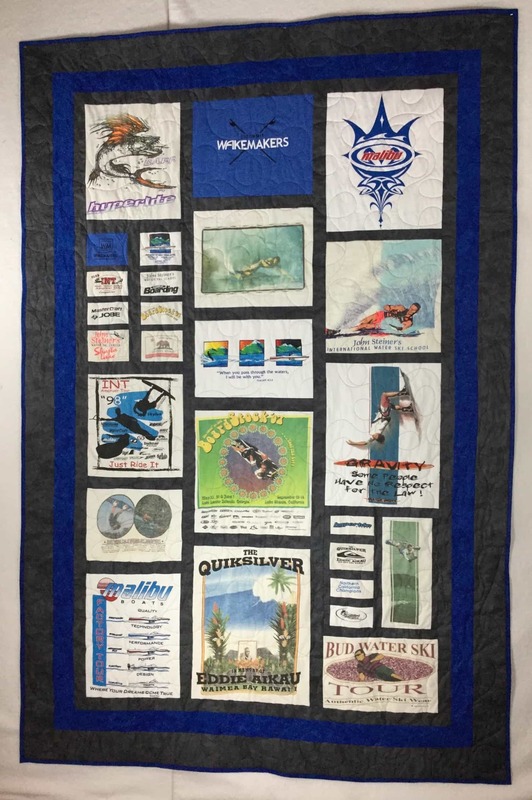 She did a fabulous job producing a beautiful quilt in a timely way to celebrate my son’s birthday and his life long love of being on the water. 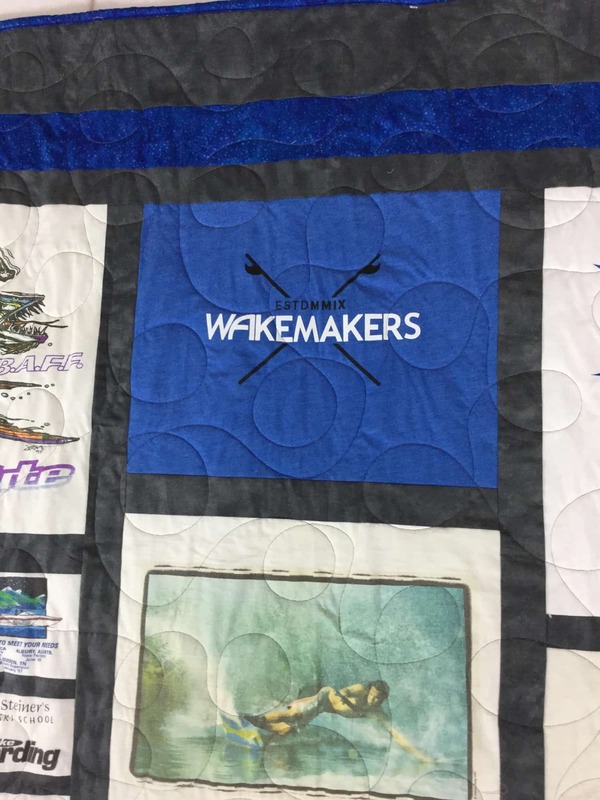 Diane was great to work with and very competent in putting the t-shirt memories together in a timely way that honored not only my son’s passion for water sports but also his success as a business owner in the boating industry. 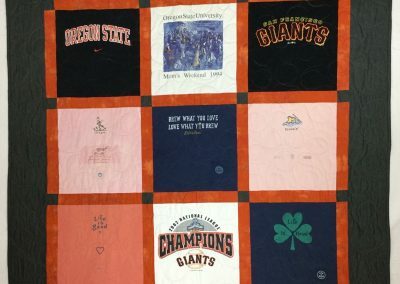 Her artistic judgment was amazing, she produced a fabulous quilt that my son love and will cherish forever.